Across time and across lands, the bangle bracelet continues to make a personal style statement. 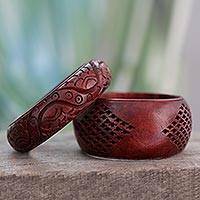 With the help of amazing artisans around the world, you can chic up any outfit with NOVICA's collection of Bangle Bracelets – there is more than one that is just right for you! 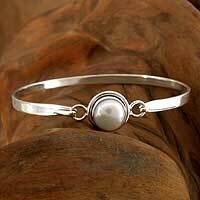 Sterling Silver Bangle Bracelets (Set of 3), "Moon Silver"
You can wear one at a time or stack them up as you please – the bangle bracelet is never out of style. 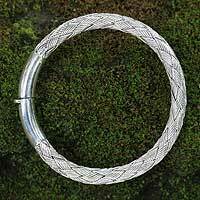 In fact, across different cultures Bangle Bracelets possess their own symbolic meaning. 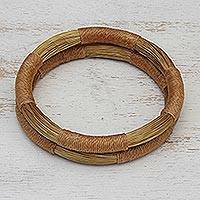 In India, bangles are worn to convey a woman's social position and marital status. 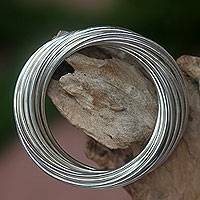 In different African regions, Bangle Bracelets symbolize peace, whereas in some Asian nations these handcrafted bracelets represent prosperity. The color of the bangle bracelet is also laden with meaning as white represents new beginnings, yellow and green stand for happiness, blue is for tranquility and red is for energy. 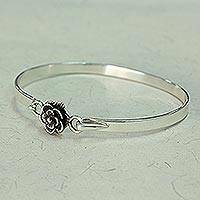 Which one in NOVICA's Bangle Bracelet collection is right for you?